Modern Tokyo and traditional Kyoto. Many foreign tourists want to enjoy both cities while they are in Japan. If you are one of them, take shinkansen!! 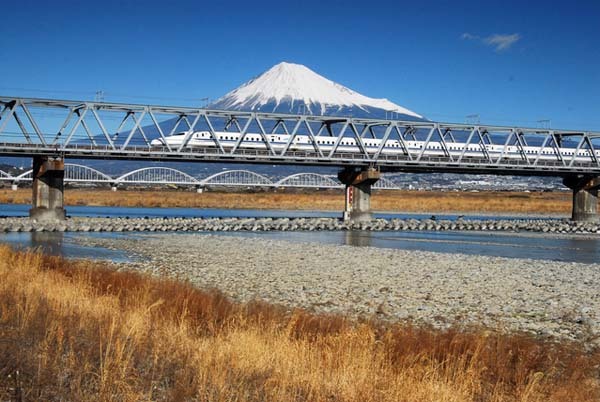 Tokaido shinkansen connects two cities, which are about 500km away from each other. It takes about 2 hours and 20 minutes by Nozomi, the fastest train (See the Types of Shinkansen). The good thing about taking shinkansen instead of plane is that you can see a beautiful scenery of Japanese countryside from the train windows. Also, because the stations are in the middle of the cities, it’s easy to access hotels or tourist sites. For more information or reservation, visit JR East.